At Absolute Casing, we have over 18 years’ experience designing and manufacturing perfect bespoke casing solutions for hundreds of items. If you’re looking for bespoke aluminium cases, you needn’t look any further than Absolute Casing! We supply a complete range of bespoke cases to satisfy your need for security and style while transporting your belongings and equipment. No matter what products you want to protect, you can’t beat the quality of our aluminium case. Absolute Casing is your go-to provider for custom aluminium cases. 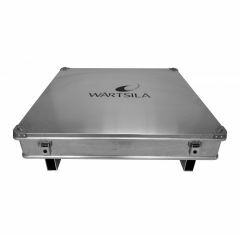 A custom aluminium case is perfect for protecting any valuable items that you have, from computers to musical instruments, ensuring their safe transportation, while providing a practical storage solution for transit, home or the workplace. When it comes to choosing bespoke cases, you want to be sure that they’re stylish and professional, as well as strong and reliable. An aluminium case from Absolute Casing is ideal, not only is it designed to suit the requirements of heavy duty applications and to adapt a sturdy look and feel, it’s easy to carry making transportation of contents simple! Our custom aluminium cases will allow your belongings to remain safe and secure throughout transit, thanks to the custom foam inserts we provide for the aluminium case. The foam inserts are tailored to suit your specific requirements and to fit your products neatly and securely.